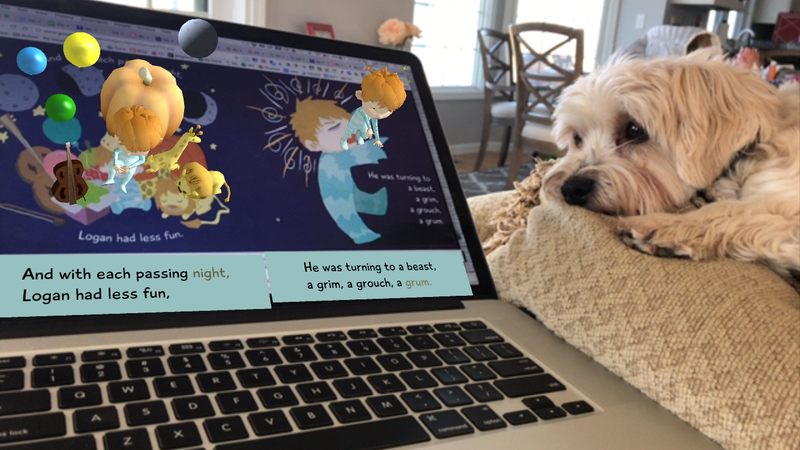 Augmented Reality Children's Books That Will Engage Students | The Techie Teacher® . 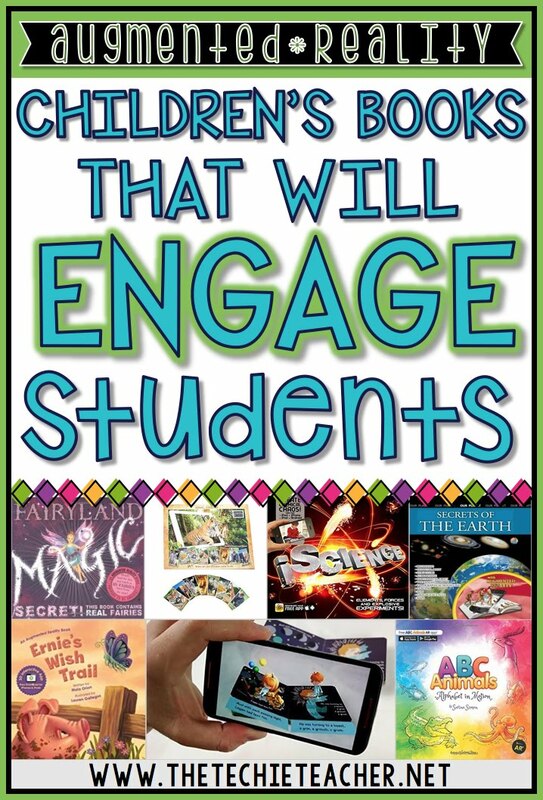 What do teachers do to get books into the hands of their students? We ALL have or had students who struggle to find a passion for reading. Teachers will do anything to get an appropriate book into the hands of their students. We give students a reading interest inventory to find out their likes and dislikes. We go to the school library and pull a collection of books to bring back to our classroom. We even head to our local libraries to bring in books from outside of the school building with the hope that our students get excited about at least one of the titles. Why do some students detest reading? Many reasons contribute to this question but more often than not it is because they struggle. They struggle with decoding which obviously affects comprehension. Some students can decode but have difficulty making meaning out of the text they read. On the other side of the spectrum, you have students who are really good readers but still don't enjoy getting down with a good book. Often times these students are used to being stimulated by video games and tech based activities. What can we do about this without replacing reading with completely digital content? Why should I make augmented reality a part of my classroom library? With that being said, I DO think it is important for children to learn how to build their reading stamina with books alone--no technology involved. A few years ago I was walking through the library at one of my schools and noticed the Guinness Book of World Records book that was on display. These books were MY all time favorite to read as a child. As I approached the book I noticed the 3D advertisement sticker on the front. I was THRILLED. I immediately opened my iPad, downloaded the app and called the librarian over. We spent a solid half hour flipping through the pages ooohing and ahhhing as the text literally came to life right in front of our eyes! So first up on my list are the Guinness Book of World Records Books. All books posted below are Amazon affiliate links. Let me know if you are able to find it! This book is appropriate for beginning readers. The main character, Ernie, wishes to be someone else throughout the book. Eventually he finds the joys of being himself. (This book reminds me a lot of Edward the Emu) Ernie's Wish attempts to makes concepts come alive like counting (pine cones drop from the tree one at a time and the voiceover asks how many they counted), colors (flowers change colors when they are touched), animation (Ernie flies off the page using a jetpack when he wished he could defy gravity), etc. This is another book for beginning readers. It is about a little boy who refuses to go to bed because he would rather play. His parents decide to take him on a trip around the world with the hopes that he will eventually tire out. Each page is animated and the text is read aloud to the child! You can demo three of the pages for FREE by clicking HERE. This is another great AR book for small children! This book brings the alphabet to life through print, audio and video. 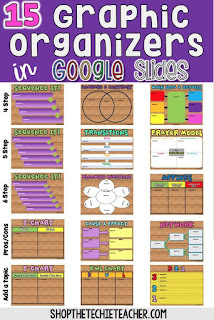 It reminds me a lot of the app, AR Flashcards, that Anita Goodwin blogged about HERE. This book is ideal for any child who loves fairies (I know several girls who would be obsessed with this book😍). This one is a little different since it uses a computer's webcam instead of an app along with software that comes as a CD (no internet required). Each page spread contains three different animations. This is a story of a knight and his friends who discover an ancient treasure map. Together the friends embark on a journey to find the most valuable treasure in the world. This popular film is now available in a children's book and contains several 3D animations! Students will have a blast seeing their favorite characters pop out of the pages. This is another popular film that has turned into a 3D experience! This book tells about all of the characters from both Monsters Inc. movies. It isn't a story but text appears that tells all about the furry friends. This interactive book is super cool and full of some pretty neat features. It is about a girl named Lulu who prepares ingredients and makes magical cupcakes for her sister. The app not only makes every page come to life, but you can also personalize the book by using the custom voice-recording feature! Believe it or not, this augmented reality book is used in hospitals nationwide for therapy and relaxation. It is a great read for winding down from the day! Explore the wildlife and their habitats with this beautiful book! Learning truly comes alive with this nonfiction text. It also comes with a full set of interactive cards. Students will have fun learning all about the basic functions of blood cells that will open their eyes to the microscopic world. Students will take a journey through the solar system as they learn about the history of Moon exploration as well as many other exciting facts. This book is the PERFECT text to use when teaching severe weather. Students will experience the severity of different kinds of storms and will feel like they are right in the action. This book captures all of the wonders of science. Learn about atoms, elements, sound waves, gravity and so much more! This book would be great for any geology unit as it explores issues of our planet and its origin. Where was this book when I taught Ancient Egypt in 2nd grade? Students will enjoy 3D images, music and games as they explore the world of Egypt 5,000 years ago. These books are great for students in grades 1st-3rd and teach them how to create origami greeting cards, ornaments, decorations and more. 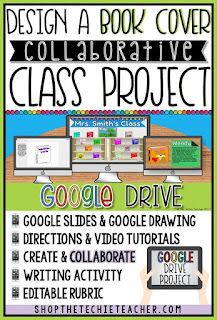 They can use a smartphone or tablet to scan specific pages to watch videos for each project. I could keep going! 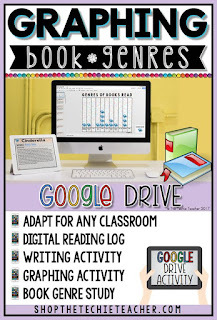 Would any of these titles interest YOUR students? I'm so excited that you shared this! 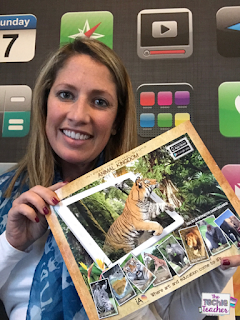 I just learned about AR in my tech class and started using it with my students. I know my students will love using AR with books that we read!!! Thanks again for sharing! Oh good!! Your students will be amazed :) Thanks for stopping by! Fun!! I wil definitely check them out..thanks so much!